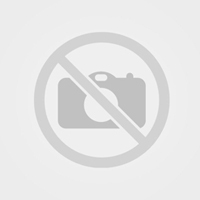 III MAF was responsible for all Marines in the I Corp area of Vietnam during the war. On 22 February 1965, U.S. Army General William C. Westmoreland, Commander, U.S. Military Assistance Command, Vietnam (ComUSMACV), asked for two U.S. Marine battalions to protect the Da Nang base in South Vietnam’s I Corps. By the end of the month, the Johnson administration agreed to the request. Finally, on 7 March 1965, the U.S. Joint Chiefs sent the long awaited signal to land the 9th Marine Expeditionary Brigade (9th MEB). The following day, 8 March, the first wave of Marine Battalion Landing Team (BLT) 3/9 at Da Nang. On the beach waiting for the Marines was a host of welcoming South Vietnamese dignitaries and local schoolgirls who bedecked the 9th MEB commander, Brigadier General Frederick J. Karch, with a garland of flowers. By the end of March 1965, the 9th MEB numbered nearly 5,000 Marines at Da Nang, including two infantry battalions, two helicopter squadrons, and supporting units. In April 1965, the President agreed to reinforce and to permit the Marines to engage Communist insurgents. 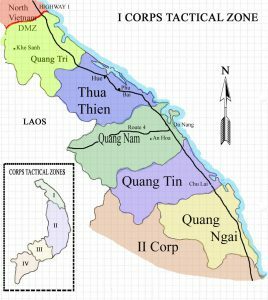 By early May 1965, the Marines had established two additional enclaves, one in Chu Lai, 57 miles south of, and at Phu Bai, 30 miles north of Da Nang. By this time, the 9th MEB had become the III Marine Amphibious Force (III MAF). It consisted of both the 3d Marine Division and the 1st Marine Aircraft Wing (MAW). In midsummer 1965, in discussions with General Westmoreland, Secretary of Defense Robert S. McNamara agreed to deploy additional U.S. troops both Marine and Army to South Vietnam. In August 1965, the first elements of the 1st Marine Division arrived at Chu Lai eventually followed by the division headquarters. In mid-January 1968, III MAF was in actuality a small field army, consisting of what amounted to two Army divisions, two reinforced Marine Divisions, a Marine aircraft wing, and supporting forces, numbering well over 100,000. For the Marine Corps, like the nation at large and especially for the two Vietnams, the Communist “Tet Offensive” of 1968, including the Mini-Tets later in 1968, was the defining period of the war. While Tet was a military setback for the Communist forces with the decimation of their Viet Cong and many of their political cadre in the South, the American government, people, and military establishment realized that there was no quick solution to this war. From the outset of his Presidency in January 1969, Richard M. Nixon made as one of his chief aims the reduction of U.S. troop levels in South Vietnam. The first Marine redeployments started in mid-1969, and by the end of the year the entire 3rd Marine Division had departed. The end was in sight for the Marine or at least the III MAF involvement in Vietnam. By the end of March 1970, the number of Marines in III MAF numbered slightly more than 42,000, a reduction of over half since the fall of 1969. With the reduced number of Marines in I Corps, III MAF reversed roles with XXIV Corps and now became a subordinate component of that command. On 14 April, III MAF shifted its headquarters to Okinawa, leaving the 13,000 Marines of the 3d Marine Amphibious Brigade in Vietnam. Throughout 1970, U.S. Marine forces continued to withdraw from Vietnam. The new policy emanating from Washington was “Vietnamization.” With U.S. airpower and advisors, the ground war was increasingly turned over to the South Vietnamese. While the invasion of Cambodia was the major military undertaking of 1970, only a limited number of Marine aviation assets were involved. Marines still conducted aggressive campaigns against the enemy, most notably Colonel Edmund G. Derning’s 7th Marines participation in Operation Pickens Forest and Colonel Paul X. Kelley’s 1st Marines actions near Da Nang. But by the end of 1970, more Marines were leaving than arriving as replacements. On 14 April 1971, III MAF redeployed to Okinawa, and two months later the last ground troops, the 13,000 men of the 3d MAB, flew out from Da Nang. The Marines’ tactical area of responsibility was limited to Quang Nam Province. 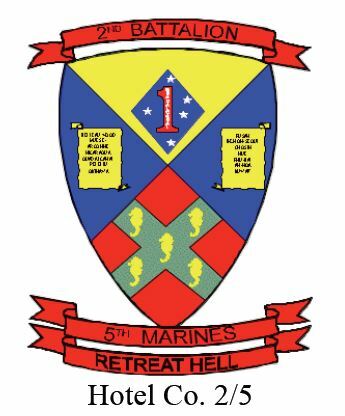 Through 1970-1971 redeployments were continued and large-scale operations diminished in number, culminating in April 1971 with the departure of the in MAP headquarters, the 1st MAW, and the 1st Marine Division. The remaining Marine forces were combined into the 3d Marine Amphibious Brigade. This brigade was deactivated in June 1971. Small-scale Marine units maintained a presence in South Vietnam throughout the remainder of the life of South Vietnam.